He used to be so happy. He once even won the coveted ‘happiest robot in the world’ award. That’s how happy he used to be. But these days he is just so sad. 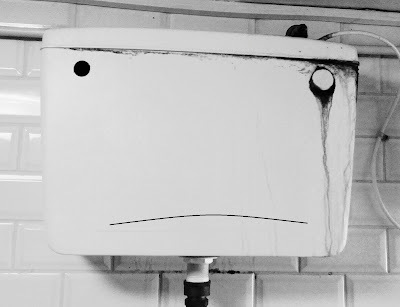 The other day someone said they had categorical proof that he was, in fact, the saddest robot in the world. Just goes to show you, hey..? As part of the build up to the release of the Time project published by Lazy Gramophone (to which I have contributed a short poem), I was asked to write a few words acknowledging the people/books/films/artists that have most inspired my writing. I have copied below what I sent them. And am aware that this piece is about one hundred time longer than the poem that's actually going to be published in the book. 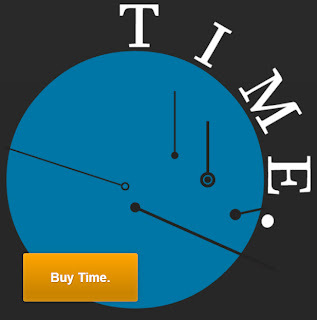 *Time will be released 26 May 2013. 2001. Stanley Kubrick’s interstellar voyage is one of those very rare things: a film as good as the book that spawned it. But that isn’t why it’s on my list. It’s here because, as a piece of work in its own right, it is perfect. What the film lacks in dialogue, it makes up for with its mesmerising visuals, intriguing past/present/future plot and incredible soundtrack. I have watched it over and over again, and have never once been bored. *NB: Other films that stand up to their papery counterparts, in my opinion, include The Shawshank Redemption, The Shining, Fear and Loathing, and, more recently, The Life of Pi. Crime and Punishment. Despite paragraphs that last forever and the confusion caused by each individual character possessing a bewildering array of names, persevering with Dostoyevsky’s masterpiece is one of the most rewarding literary missions you can undertake. As the novel crackles towards its climax, Dostoyevsky somehow manages to make you feel every gut wrenching twist and turn as if you were the one with blood on your hands. It is incredible and highlights how powerful the written word can be. Jarvis Cocker. Though my Sheffield roots make me slightly biased, I think Jarvis Cocker is one of the greatest writers of his generation. He is the perfect antidote to pretentiousness, highlighting on album after album that pragmatism and wit are more effective than longwinded snobbishness. I thoroughly recommend his collected lyrics book, ‘Mother, Brother, Lover,’ to anyone not entirely convinced of Cocker’s earthy genius. Surrealism. There’s nothing in literature I like more than an unreliable narrator. And I think the art world’s closest matching version of this comes from the surrealists. Though frequently starved of praise from the higher brow members of the artistic community, I love the freedom present in the work of people like Dali, Ernst and Magritte. I have always imagined the stories that could be set in their otherworldly locations, particularly in those weird endless deserts.